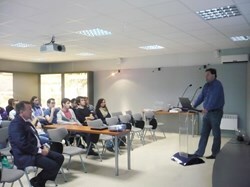 Alex Martin, Design Engineer at ITER Organization, explaining the ITER Project to students from the Polytechnical University of Catalunya. Their names are Neils, Sander, Gonzalo, Carla and Marta, and they have two things in common. 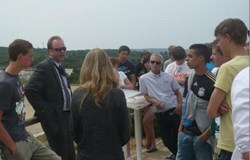 First, they had the occasion to visit the ITER worksite with their schools this week. Second, they are part of schools that have been coming, every year, since the beginning of the project. On 9 May, 20 students from the Polytechnical University of Catalunya visited the worksite and received a technical presentation of the ITER Project to complement the 45 hours of coursework that they had accomplished on fusion during the semester. The following day, a group of younger students ranging in age from 15 to 17 arrived from Gertrudis College in the Netherlands for a visit of the ITER site as well as the Tore Supra fusion facility at CEA. Senior Officer Akko Maas speaks to students of his alma mater in the Netherlands: Gertrudis College. 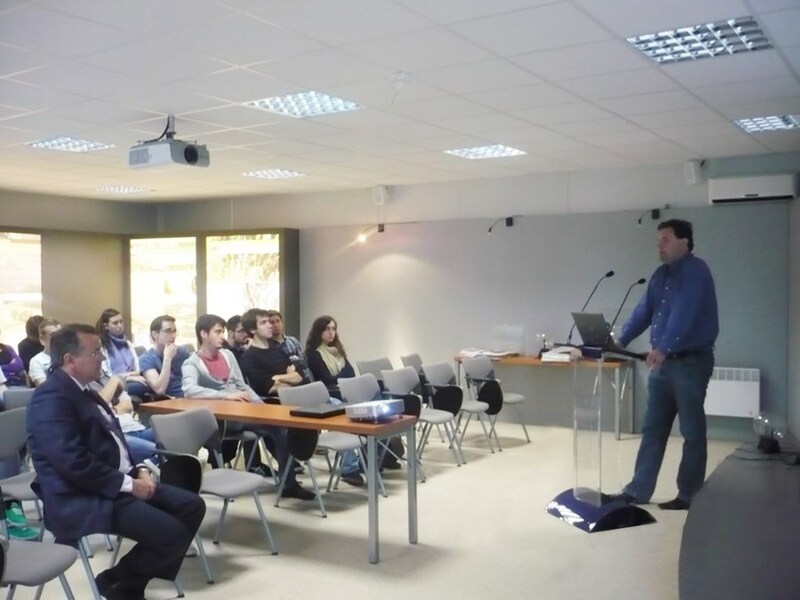 Akko Maas, Senior Officer of the ITER Organization and a former student of Gertrudis College, enjoyed giving the youngsters a general explanation of the scientific and technical challenges of ITER. According to the teachers of both establishments, these yearly visits are one of the best ways to keep track of the reality of construction progress. See you next year, then!